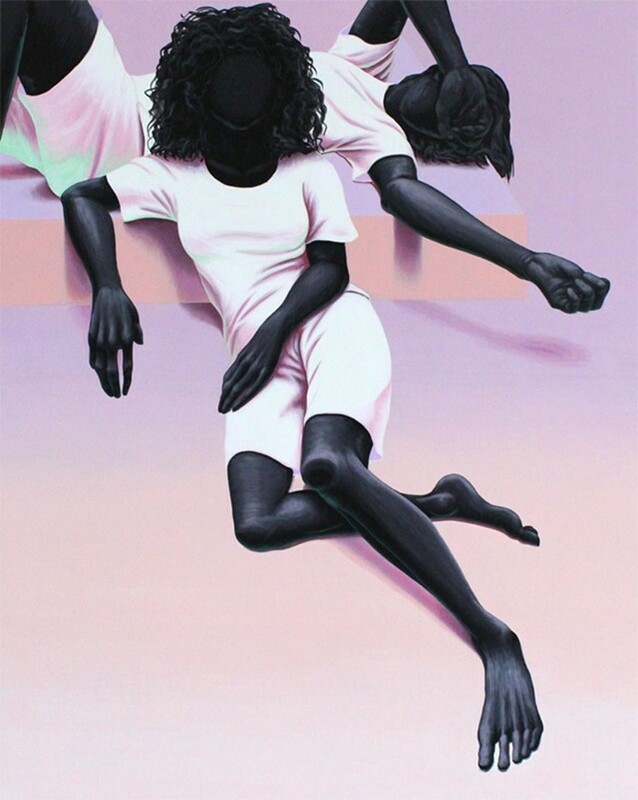 Gardner followed what he calls an artist’s “typical route”, honing his technical skills at school before bagging a Fine Art degree from California State University, Long Beach in 2011. 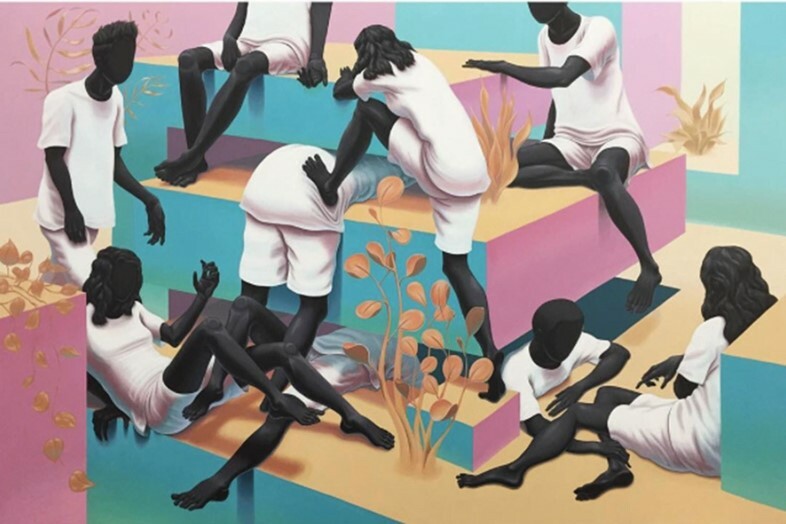 Now, based in a Downtown LA studio framed with “terrible walls” and huge windows, the artist creates canvases that remix Renaissance painterly techniques with geometry, drawing from a palette of black, blue, pink, white and green. 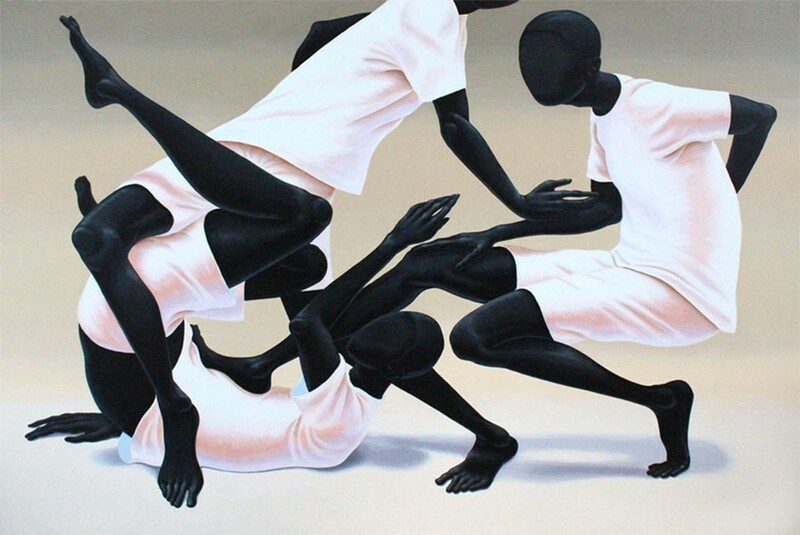 Alex Gardner’s first London show runs at The Dot Project from October 7 – November 20.